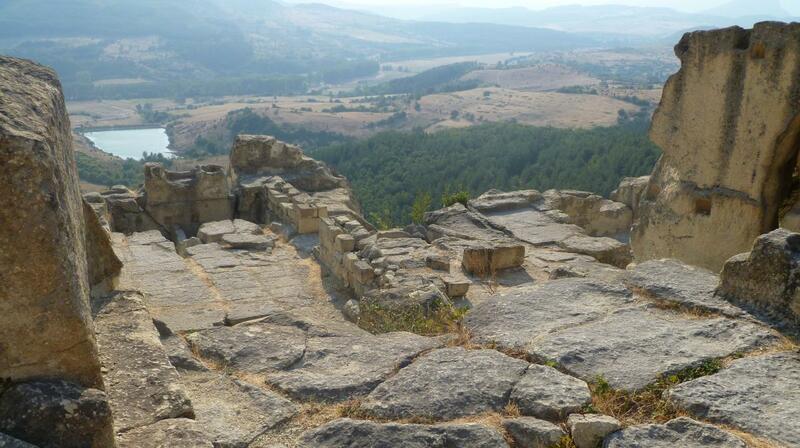 Archaeologists working at the site of Bulgaria’s ancient sacred site of Perperikon have uncovered a third century CE temple as well as 10 portable altars originally used for animal sacrifices by pagans but into which Christian crosses were carved – and the altars then buried as the new religion sought to eradicate the old. Perperikon, in Bulgaria’s eastern Rhodopes region, about 15km from the town of Kurdjali, has been the site of various forms of religious activity from about 7000 years ago, having first been used by the Thracians. The site is a popular tourist attraction and long-term archaeological work continues to unveil new discoveries. Professor of archaeology Nikolai Ovcharov said that the discovery of the altars was proof of how early Christians sought to overlay previous pagan practices. The altars have grooves carved into them to allow blood from sacrifices to flow away. One of the altars had the name of its owner carved into it – Alexander. Ovcharov said that precise dating of the finds had been possible because of the discovery of a religious ritual serving dish, in the style of Roman ceramic work and made in north Africa. This style of ceramics dated from the end of the fourth to the fifth century CE.